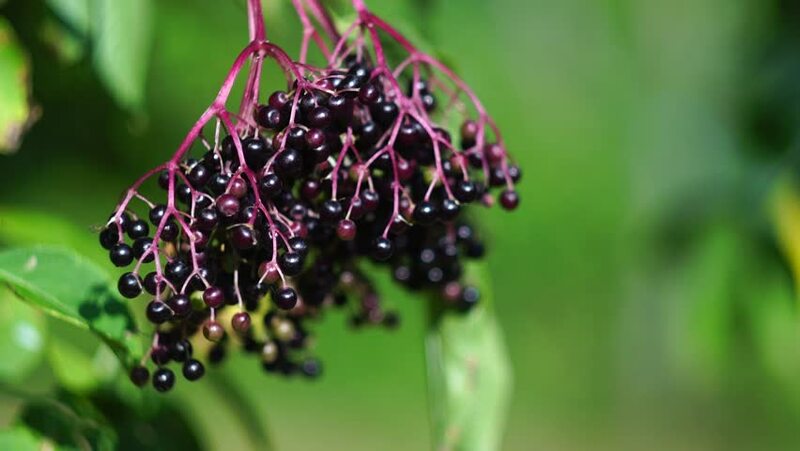 Close up of a cluster of elderberry fruit on a tree branch in summer. 4k00:13A scarlet Mormon butterfly stands on a vertical flower stem, and walks on the stem, then flies away. Slow motion shot.